Added security and an easy to understand interface are just some of its features. Did I mention that the Quicken app for iPhone is free? Find out how you can budget and save while meeting financial goals on the go. Quicken has been a leader in personal finance for approximately 25 years. Today, the Quicken app for iPhone provides many of the same features that the original Quicken software offers, with one exception. It lets you manage your money on the run. With this program you will know where you are spending money and where you are saving money. You can also set budgets that allow you to live within your means. Below are some key features found in the Quicken App for iPhone. The user interface is one of the most notable features. The interface on this app resembles Quicken software found on other platforms. A large readout indicates how much money you have left for spending. When you are in danger of spending more than what you have, you'll find out immediately. You can save cash, especially when you need it, because you don't have to go to another bank's ATM. The Quicken App's GPS feature allows you to locate your own bank's ATM regardless of where you are. However, that feature may seem trivial compared to the next feature I'm about to mention. This app has a feature that allows you to calculate how much you'd save if you cut back on daily expenses like fast food. 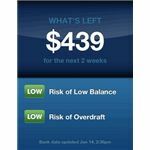 You can also calculate how much you need to save in order to make auto insurance payments or pay tuition fees. What better way to plan ahead? You can track your spending trends and spending goals. There is an added security password. The built in GPS locates your bank's nearby ATMs. The Quicken iPhone app does not work with Wells Fargo. The ATM locator is glitchy at times. Setup via a computer is required before initial use. The app requires a fair amount of data entry. The Quicken app was developed after the company listened carefully to feedback from their customers. People wanted an easy way to spend smarter while on the go. Among this and many others things, there is something else that separates the Quicken iPhone app from Quicken Online and other versions of the software. 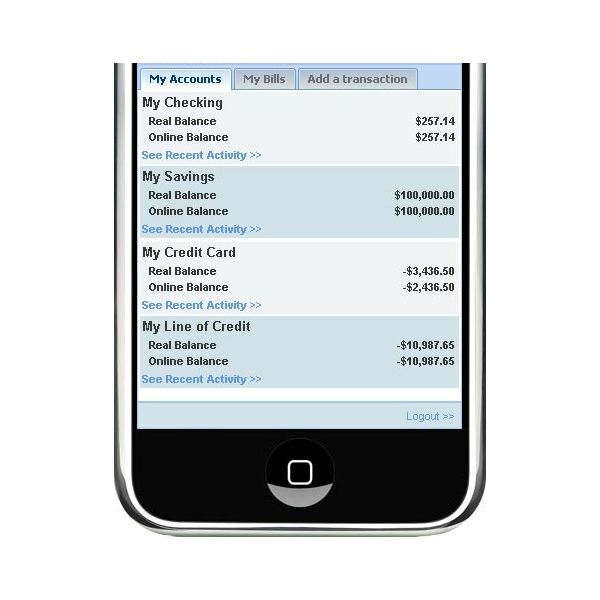 The Quicken app for iPhone lets you see ahead. 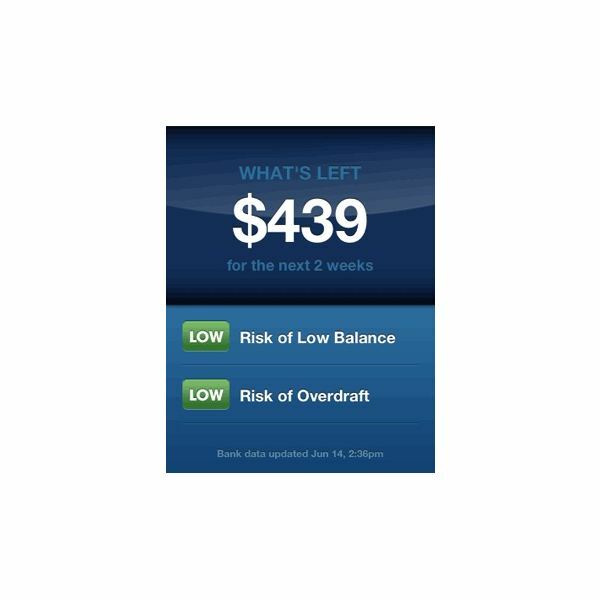 Whereas former versions of this program only let you look at how you managed your money in the past, the iPhone version of Quicken allows you to take into account future financial obligations. I recommend this app to anyone who likes having a little extra money. Furthermore, the app is free, so you don't stand to lose much by trying it. 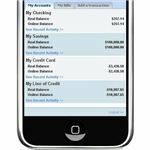 Click here if you want to know about the top ten free personal finance apps for iPhone or a few must have iPhone apps.